It may be that your company never had a "safety manager" formally directing risk management processes. This article will highlight some of the most important elements in starting a professional aviation safety management system (SMS). After working with hundreds of operators implementing their SMS, I have made some interesting discoveries and I'll share them here. First and foremost read the manual! Which manual? 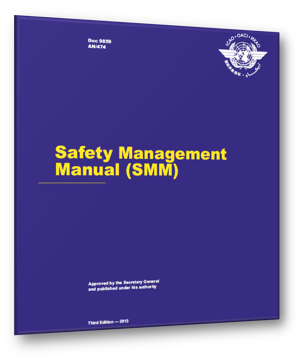 I will always recommend starting with the International Civil Aviation Organization (ICAO) document 9859, the Safety Management Manual (SMM). Read it very carefully. It is not a difficult read and you will benefit reading is at least a couple times. Version #4 came out recently and there is some online training also available on the ICAO website. Read this before you read your own civil aviation authority's SMS documentation, because ICAO is the root of the SMS requirement, which went into effect in November 2006. Again, read document 9859! This is the bible. My interesting discovery is that this is perhaps the best resource available. Most CAAs (civil aviation authorities) are regurgitating these requirements and for good reason. There must be harmony within the standardization processes. If you can follow ICAO's processes as documented in 9859, you will be off to a great start. You need to read the documentation in order to understand the SMS documentation requirements. These documentation requirements are no joke and have caught hundreds of safety managers and accountable executives with their guard down. The reason that you understand the SMS documentation requirements is so you can properly plan your SMS data management strategy. Many safety managers are super heroes and many are super users on a computer. After a couple years of seeing little SMS activity, they realize SMS really doesn't work like they envisioned. Their safety culture suffers while safety managers go through the spreadsheet phase of their SMS data management maturity. Why are their safety cultures suffering? The reason spreadsheets hurt safety cultures is simple: spreadsheets are the wrong technology to store SMS data for all but the very small companies. Safety manager will be spending their best working hours managing SMS data. Meanwhile, the other SMS tasks are being ignored, such as developing the safety culture. Furthermore, if you have fewer than 30 employees with very low turnover, you may get by with spreadsheets; however, if you have high employee turnover, you need to get away from spreadsheets. This is an accident waiting to happen and the accountable executive will not be pleased. This is commonly seen as a first step for operators with more than 100 employees. This will often, but not always be the second step for safety teams that realized that spreadsheets were not sustainable for managing many years worth of SMS documentation. Point solutions may take SMS implementations through their first four to six years after an operator starts the SMS implementation process. As auditors demand more sophistication from supposedly mature SMS implementations, aviation service providers realize that the point solutions do not satisfy all the SMS documentation requirements. The biggest problem I've seen with companies using point solutions is that their "systems" do not talk to one another. For example, there is no way for their hazard register to be tied into their reactive risk management processes so they can easily monitor risk controls. Another example may be that there are no automated emails when users are assigned tasks or no email notifications are sent alerting management that SMS tasks are not being performed. In short, the point solutions make it very difficult for management to monitor the performance of the SMS. The third step in SMS data management maturation is the adoption of SMS database software that satisfies all regulatory requirements. After the spreadsheets and the failed point solutions, many companies move to commercially available SMS databases not because they want to, but because they continue to receive audit findings. It will usually take about two to four years of repeat audit findings before the beleaguered safety team realize they didn't plan very well in the early stages of their SMS implementation. Finally, we get to the point of why it is important to read the SMS documentation requirements when you start an SMS implementation. Many safety teams have suffered the pain. You don't need to. The number one reason that aviation SMS fail is due to lack of leadership from the highest executive. If you don't have top management support, or you feel that you are losing it, then you will need to focus strongly on this most important element. How do you know you don't have top management support? Reluctance to contribute to safety initiatives (safety meetings, newsletters, etc). Safety managers must have an excellent rapport with top management and especially the accountable executive. The entire organization must know that the boss supports you. One tactic is to be seen walking around the area of operations with the top dog. Be bold. Explain to the accountable executive that their time is valuable; however, a strongly visible display of top management support of the SMS is to be seen with the safety manager. Other managers and employees will see that the boss supports your efforts to implement the SMS. Visible displays of support by top management is critical to developing a strong safety culture. One strategy to reinforce top management support is to educate the accountable executive as to his responsibilities to the SMS. Talk to him about attending an SMS leadership course or an Executive Level SMS Workshop. If the safety manager is getting push-back or resistance from the accountable executive to get SMS training for executives, consider reminding him, tactfully of course, of his responsibilities. Every accountable executive is responsible for making sure their SMS is properly implemented and performing in all areas of the organization. In addition, accountable executives are required to review organizational safety performance on a regular basis and manage activities to address substandard safety performance. Top management support is critical, as SMS implementations are a top down approach, meaning that it all starts with the accountable executive. Let's face it. Not every safety manager possesses the charm and charisma to move the masses. If you don't have these skills, look for a safety champion to help with the task. Find someone more suitable for implementing the SMS. Being a safety manager can be a thankless task early on in the SMS implementation. Depending on your safety culture, you may face considerable resistance from resentful employees. Uncovering this resistance to change early on in the SMS implementation is very important for successful safety teams. Most aviation service providers have existing elements of formal aviation SMS. SMS requirements didn't suddenly drop from the sky. All operators, before even considering an SMS implementation, have been practicing reactive risk management processes, but these processes may not be documented. Something breaks, fix it. While these operators have existing risk management processes, they may not be well defined, documented or the operator has no way to measure the results to demonstrate continuous improvement of their "systems." An aviation SMS gap analysis will indicate which elements you have and which elements you need to work on. Also a gap analysis is the second best way to understanding SMS documentation requirements after reading ICAO Document 9859. The gap analysis (except the IS-BAO gap analysis model), will educate the safety team as to future SMS data management requirements. Hybrids (combination of all, with duplicates removed). Most operators are well served by using the ICAO gap analysis model. It is my recommendation. Some advanced SMS database tools offer hybrid gap analysis models that take the best from all models and combine them. If you only want to "check the box," choose a model appropriate to your region. In the beginning years of an SMS implementation, we recommend that operators perform a gap analysis each year to demonstrate continuous improvement. The better SMS software tools should depict your progress in easy to read charts or graphs. Most gap analysis models are available in spreadsheets, unless you select an SMS database that has these checklists built into the system. That is a best practice - keep all SMS documentation within one system. Your audits will be much smoother and auditing time can be reduced to a few hours instead of an entire day or even two days. SMS implementation plans can be tracked in MS Project or other aviation SMS database tools. The better aviation SMS software tools will allow you to modify the implementation plan to suit an operator's specific needs. For example, a helicopter operator will have different requirements than an airport. There are many elements to an aviation SMS. They may appear daunting to new aviation safety managers. Often the most difficult part of a new job is understanding where to start and what are the requirements. Create an SMS implementation plan. These repeat safety managers will always choose the commercially available SMS database that was built to address SMS documentation requirements. immediately select an SMS database provider. For example, SMS Pro has an SMS manual template that can be used to jump start an SMS with documented risk management processes. Acquiring an SMS database from the beginning will save you considerable pain and reduce risk to the accountable executive. Your SMS database provider will become your SMS partner, so choose wisely. Before you select an SMS database, I encourage you to review: 5 Most Important Things to Know Before Buying Aviation SMS Database. If you are looking for an SMS database, please watch these videos to see whether we are a good fit. 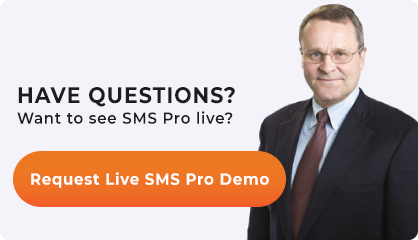 If you have questions, you can schedule a live demo. Good luck starting your SMS implementation.